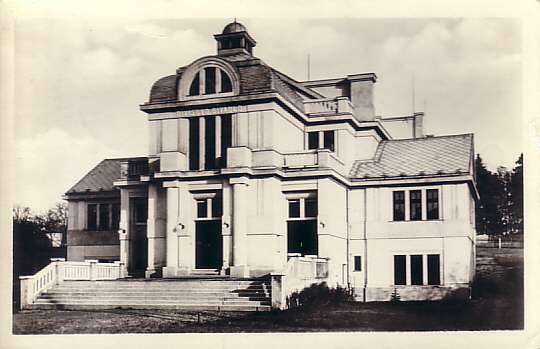 Built May-Dec 1926 by Eduard Kovarik. Named in honour of the Zamberk-born philosopher, scientist and electricity pioneer, Vaclav Prokop Divis (1698-1765). Opened Dec 1926 with J. K. Tyl's drama, "Fidlovacka". Front Text: inscription: "Divisovo divadlo"
Reverse Text: "Zamberk - Divisovo divadlo"